We were headed for LA and wanted to break the flight up for Lilah from NZ. Hawaii was a convenient stopover and boy what a treat it was! We discovered that there is so much more to see on this beautiful island than the famed beaches of Waikiki. Driving the coast of Oahu. We visited viewpoints and gorgeous beaches where we were the only people there. The scenic landscape was amazing. We enjoyed both the southern loop from Waikiki and the northern loop (traveling up the east coast along the north shore and back to Waikiki). The hike up Diamond Head crater. One of the most popular attractions in Oahu and for good reason. Along with the famous view over Waikiki, you can also enjoy beautiful views out to the southern coast. It's a moderate 1.5 to 2-hour round trip that is steep at times and generally well paved. The beaches of course! From the bustle of Waikiki to the more secluded beaches around the island, we enjoyed them all. The gorgeous northern beaches seemed to go on forever. Hanauma Bay, once the holiday destination for the Royal Family of Hawaii, offers a stunning setting with calm waters that make it perfect for snorkeling. Our favorite was Lanikai, rated one of the top beaches in the world. Staying in Waikiki. It is a different holiday staying in the city as opposed to the more laid back north shore. We enjoyed the many restaurants and shopping outlets. This also suited us as Lilah was at an age where she liked walking the beach and people watching. The relaxing vibe of Hawaii. 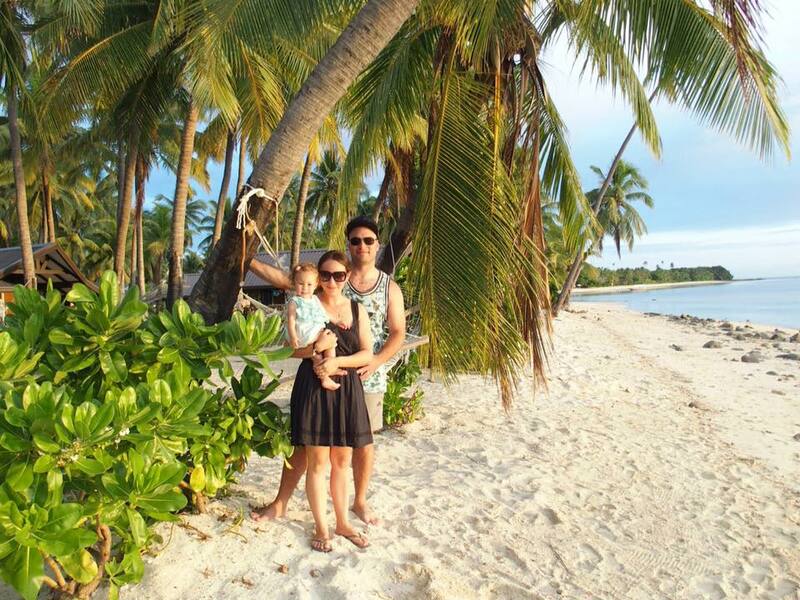 Much like our time in Fiji we came to appreciate the laid back 'aloha way of life'. There is a lot to do in Oahu but make sure to leave enough time to simply relax. 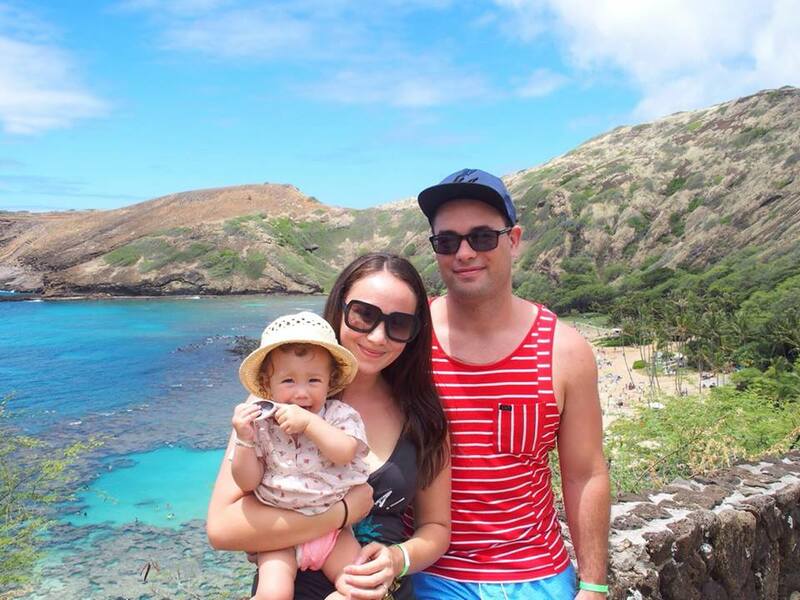 Some of our favorite places to visit driving around Oahu were the Dole Plantation (worth it just for the pineapple ice cream! ), the blowhole (nice views of the rocky coastline), Turtle Beach (cool to see a huge turtle just chilling on the beach), Byodo-In temple (a beautiful setting with the surrounding cliffs), and the Pali Lookout (drive right up to this beautiful view out to the ocean). Make sure to eat at the shrimp trucks. There are so many along the north shore and the food is delicious. Visit Ala Moana Park. A short drive from Waikiki this was a place where the locals hang out that is away from the crowds. A big park with nice swimming spots and a view back to Diamond Head. If you plan to drive around the island make sure to factor in the traffic which can be heavy at times. We decided to drive the east coast in the morning to the north shore to miss the morning traffic from Waikiki to Honolulu. If you are staying in Waikiki stay near the beach if it is in your price range. We loved being able to walk straight out on to the beach. Accommodation can be expensive and we found a reasonable deal with Airbnb but the apartment was small. Staying near the zoo was a nice location as we could walk one way to the busy area of Waikiki and one way to the more quiet area. The zoo is worth a visit if you are traveling with kids and it is located right next to the beach. We had one of our best car hire experiences with Alamo (conveniently located) and would definitely recommend them. We skipped the waterfall hikes and Kualoa Ranch as we had enough planned with Lilah but they both looked well worth it. Explore the different shopping areas around Waikiki beach. We enjoyed some local markets and there is a lot of eateries to choose from. It would be nice to stay on the north shore (for more of a beach holiday). We didn't quite have enough time to fit it in on this trip. We stayed 8 nights and this was enough time to check out the island and also relax. You could easily stay longer depending on how much you want to explore the island. We would love to go back and explore the other islands of Hawaii. Take suitable footwear for the hikes (one reason why we chose not to do the waterfall hikes was not having appropriate footwear). It can get quite hot hiking Diamond Head crater and there is not much shade so plan to go early and take lots of water. We drove to the entry but you can also take a bus. We always take our car seat when traveling. The prices to hire one can be ridiculous and we prefer to have ours since we know Lilah can sleep well in it. We were grateful to have it with us for driving around the island. Waikiki beach was perfect to walk up and down with Lilah in the stroller. There were many fresh fruit juice outlets that were great to keep Lilah hydrated in the heat when out and about. There are many places to stop driving along the coast (not so much when inland, it is mostly highways). Apartments can be small and there was not much space in our studio apartment with Lilah. We would book a one-bedroom apartment if we went again. The drive time is about 1.5 hours to the north shore and the northern loop can be 3-4 hours. This is much longer than we are used to and so we planned it around Lilah's sleep times.